Welcome to our Licence Translation website where we will provide you with all the information that you need to understand how to translate your Japanese driver’s licence into English. This web page is specifically for Japanese people who are either planning a trip to Australia or who are already in Australia and want information on how to request aH Japanese driver’s licence translation. If this sounds like you, please continue reading. In Australia, in order to drive legally, you will need an NAATI certified English translation of your Japanese driver’s licence. Our NAATI accredited Japanese translators have translated thousands of Japanese driver’s licences into English over the past decade and they are very fast and experienced in the process. 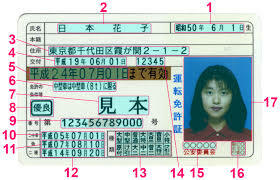 How do I order an English translation of my Japanese driver’s licence? Order your Japanese licence translation online by clicking here. You will need to upload a photo or scan of your licence and you will be able to choose your option (Urgent, Express or Regular) make payment online. We will send you an NAATI certified digital copy via email. Upon your approval of the NAATI certified digital copy, we will post the hard copy to your supplied Australian mailing address. Why should you choose our Japanese to English licence translation service? Your service was very easy to use and I was impressed by how quickly I received the English translation of my Japanese driver’s licence. Low prices starting from only $69 - order today! How much will it cost me to translate my Japanese driver's licence into English? Our Regular option starts at only AUD $69.00 per licence. Can you help me if I need my Japanese licence translation urgently?